Ada pertanyaan untuk Ngoc Lan Hotel? Terletak di Distrik 11, Ngoc Lan Hotel merupakan tempat yang sempurna untuk menikmati Kota Ho Chi Minh dan sekitarnya. Terletak hanya 4. Km dari pusat kota, para tamu berada di tempat strategis untuk menikmati obyek wisata dan aktivitas di kota ini. Yang tidak ketinggalan adalah akses mudah dari hotel ini ke sejumlah obyek wisata dan landmark kota ini seperti Benh Vien Trung Vuong, Pagoda Giac Lam, Rumah Sakit 115 People. Di Ngoc Lan Hotel, setiap upaya dilakukan untuk membuat tamu merasa nyaman. Dalam hal ini, hotel menyediakan pelayanan dan fasilitas yang terbaik. Layanan kamar 24 jam, WiFi gratis di semua kamar, Wi-fi di tempat umum, parkir valet, tempat parkir mobil hanyalah beberapa dari fasilitas yang membedakan Ngoc Lan Hotel dengan hotel-hotel lain di kota ini. Sebagai tambahan, semua kamar tamu memiliki sejumlah kenyamanan seperti televisi layar datar, akses internet - WiFi, akses internet WiFi (gratis), AC, meja tulis untuk menyenangkan semua tamu. Hotel ini menyediakan sejumlah fasilitas rekreasi seperti hot tub, pusat kebugaran, sauna, pijat, taman. Apapun tujuan kunjungan Anda, Ngoc Lan Hotel adalah pilihan istimewa untuk menginap di Kota Ho Chi Minh. room is big even superior type. shower has a strong water pressure. hot water is really hot. Breakfast is not up to the standard for foreigner. Wifi ok but sometime on and off. Hotel very near to HCMUT unfortunately no supermarket and halal restaurant nearby. The average hotel is 3 star, size rooms small, everything else ok for 700k / night. In general, we go to work also does not require much, is also a place to sleep only. In our staying, Hotel has stopped serving buffet breakfast after three days , quoted not enough guess for restaurant to open . We have paid for buffet breakfast but they can change it to a single serve breakfast if they want to. Room looked a bit old but clean. Breakfast is buffet style and reasonable. Location was specially OK for working at the Ho Chi Minh city University of Technology. No convenience store nor supermarket near the hotel. Near to the Univercity. Clean room and kind staff. reasonable Chinese restrant. Every things are OK. Good for business Use. 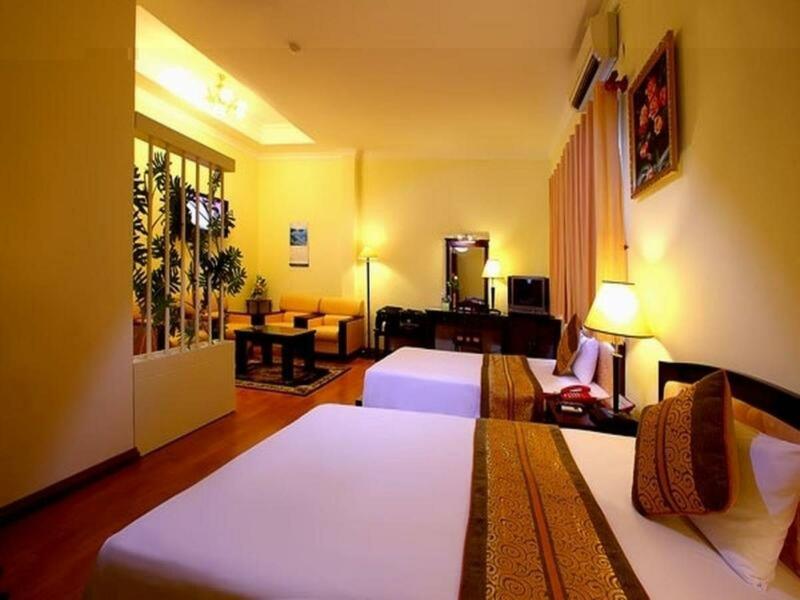 Clean, good food and very near HCM University of Technology and a Catholic church. No good impression about this hotel: expensive food, just some friendly staffs, old hotel with bad equipments. 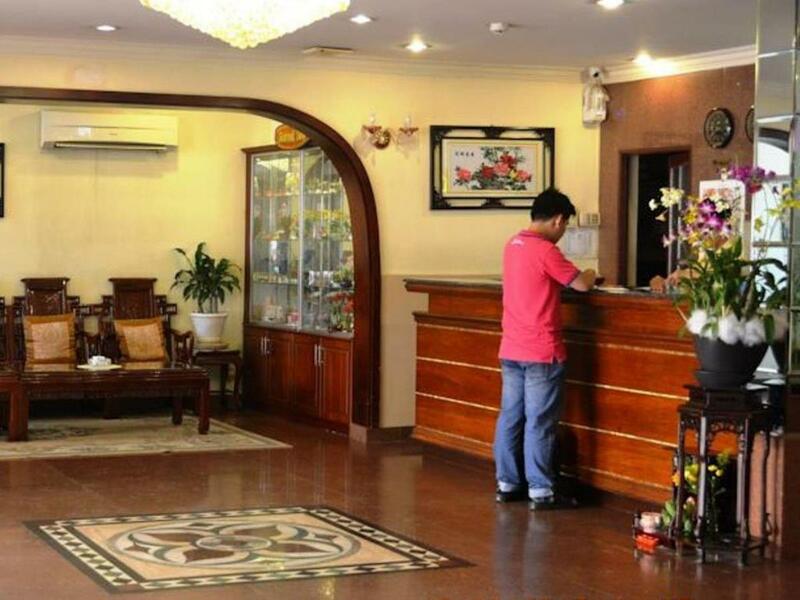 Very friendly, kind, well trained staffs produced the stay comfortable. many of the smaller hotels in ho chi minh city are quite nice. i travel in india a lot and the opposite can be said there. 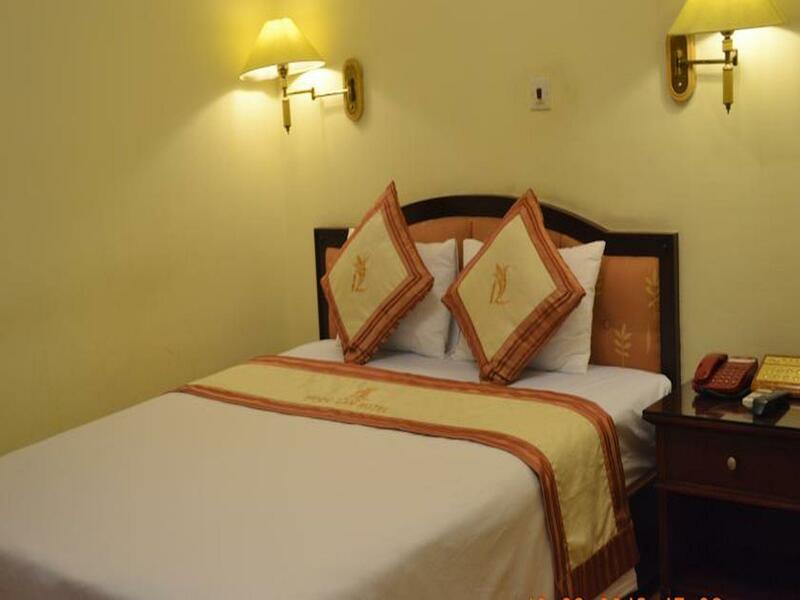 this hotel is well located, clean, professional staff that know what they are doing. it is modern, with modern conveniences that the western traveler would be used to. the internet was actually, good, fast and strong. (one of my pet peeves as a business traveler). bathroom was modern, bed was spacious (unlike the twins you get in european hotels. the restaurant was good and very reasonably priced. i travel extensively and was perfectly comfortable. if i were a single woman i would feel safe here. in short i would recommend this hotel to anyone.